When Matt Hancock was promoted to health and social care secretary in July, taking over the post from Jeremy Hunt, one of his priorities was to embrace technology in the NHS. Praising schemes such as GP at hand – which allows patients to have ‘virtual’ consultations via their smartphone or computer with a remote GP service – he said technology has the potential to improve patient care and ease staff workloads. Remote consultations have many benefits – such as sparing patients the cost and inconvenience of travel – but they have their challenges and are not suitable for all patients. There is also the danger that companies such as Babylon, who are piloting GP at hand, could end up ‘cherry picking’ relatively well patients, leaving traditional GP lists with more complex patients who have multiple co-morbidities and polypharmacy issues. 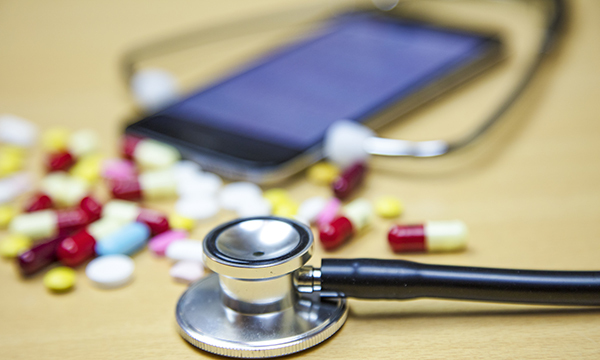 Technologies designed to improve prescribing practices and medicines management already exist in general practice and acute care. To guide us in our investigations and treatments we have e-prescribing, decision support software tools, British National Formulary (BNF) apps and clinical knowledge summaries, to name just a few. But implementing these technologies is a challenge, and there are issues around patient safety and confidentiality. Poor IT hardware and internet access can be a problem – particularly in the community where not every nurse has access to a computer, tablet or smart phone – and more rural areas can have issues with internet connectivity and broadband speeds. Not all clinicians will be issued with devices by their workplace, so if staff are using their own phones or computers we need to ensure that no patient identifying information is held on these, or sent via insecure emails. Technological solutions, such as prescribing decision support software, appear to be the answer to our prayers, but these also have their downsides. The software is only as good as the information that is typed in, so if you misspell a medicine it is easy to inadvertently click and prescribe that medicine. The warnings that pop up to alert us to drug-on-drug interactions or safety information can sometimes lead to ‘pop-up lethargy’, where users click through these pop-ups without reading them properly. Technology is a fantastic thing, and Matt Hancock is right to look for high-tech solutions to improve the experience for both staff and patients in the NHS. But these digital breakthroughs are not always the panacea we are looking for. We must ensure that any implementation of new technology is carried out safely, and with the right investment to enable it to succeed. We also need open and frank conversations with the regulators of our professions to see how standards will be maintained and patient confidentiality respected when introducing new technology in healthcare. I hope that more health-related apps are developed, and as our use of these products is only likely to increase, I welcome any investment that helps the NHS not only survive but flourish in the 21st century. But all products have limitations, and we must consider the risks and benefits of any technologies that may affect us, and the care we deliver to patients.